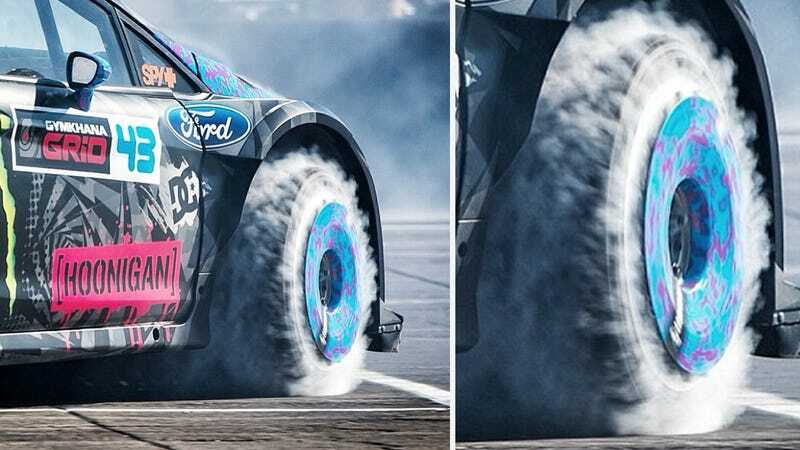 The best part about Ken Block's turbofan wheels is they make fluffy tire blankets whenever he does donuts. And that they're throwbacks to when rally cars like the Lancia Delta Integrale raced with them. But mostly the fluffy tire blankets.